Of all economic recessions experienced by the United States in the postwar period, the Great Recession that began in 2008 was the deepest, longest, and most destructive. 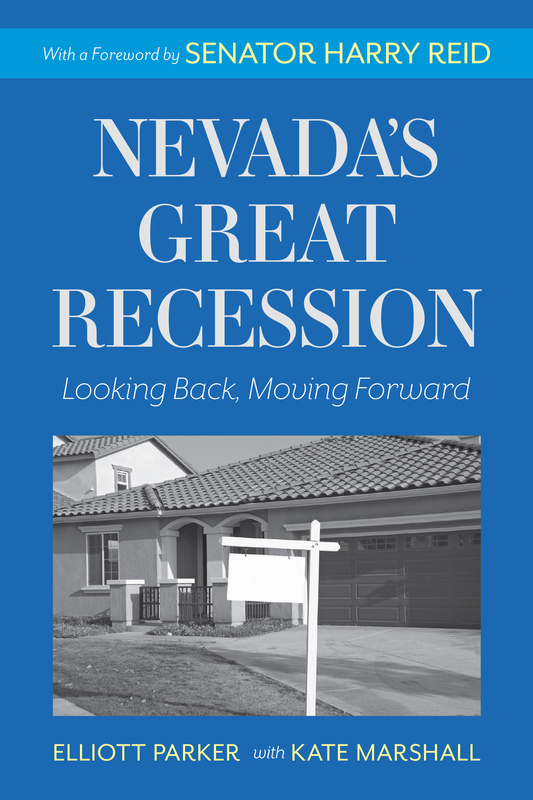 Nevada was among the hardest hit states, its people reeling from the aftereffects, and the state government also experiencing a severe fiscal crisis. University of Nevada economics professor Elliott Parker and then-State Treasurer Kate Marshall make sense of what went wrong and why, with the hope the state will learn lessons to prevent past mistakes from being made again. This is a different kind of economics book. Parker uses his expertise from doing research on the East Asian fiscal crisis to give profound insights into what happened and how to avoid future catastrophes. Marshall personalizes it by providing vignettes of what it was actually like to be in the trenches and fighting the inevitable political battles that came up, and counteracting some of the falsehoods that certain politicians were spreading about the recession. Parker and Marshall’s book should be required reading for not only every single elected official in Nevada, but for any private citizen who cares about the public good. Elliott Parker is professor of economics at the University of Nevada, Reno, where he has made a home since 1992. He has taught comparative and international economics, and the principles of microeconomics to thousands of Nevada students. Kate Marshall (née Soltero) is the former State Treasurer of Nevada. She was first elected in 2006 and re-elected in 2010.